Bothell, WA – April 26, 2016 –Winshuttle is excited to launch the latest version of its Foundation product at SAP’s SAPPHIRE NOW and ASUG Annual conference being held May 17-19th, 2016 in Orlando, FL. Winshuttle Foundation is a full enterprise product suite that allows companies to quickly automate their SAP-based processes across entire departments, using forms and workflow technologies. Winshuttle Foundation v11.1 features an extensive user interface (UI) overhaul that offers a revolutionary experience when working with SAP solutions. During the design phase, Winshuttle worked with two UI consulting companies and interviewed over 230 external users to ensure all product updates address and enhance customer needs. Winshuttle Foundation v11.1 was developed with HTML5, enabling users to work from an advanced modern interface. Another usability enhancement is widespread Excel and workflow integration with SAP software that allows users to interact with custom workflows without ever leaving Excel. With data governance becoming increasingly important for every organization, Winshuttle Foundation v11.1 offers improved user governance capabilities that address the needs of data stewardship by offering centralized control over data that is loaded into SAP solutions. This is Winshuttle’s second release of its advanced version 11 software, following the release of the Studio v11 desktop solution at its annual user group in February. 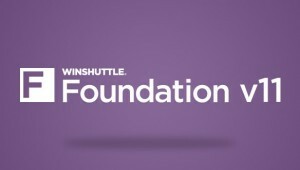 Find out more about Winshuttle Foundation v11.1’s new capabilities and enhancements during the launch at SAPPHIRE NOW. SAPPHIRE NOW focuses on how companies can enable their digital business strategy and get more from their technology investments. SAPPHIRE NOW is a premier business technology event that offers attendees the opportunity to learn and network with customers, SAP executives, partners and experts across the entire SAP ecosystem.